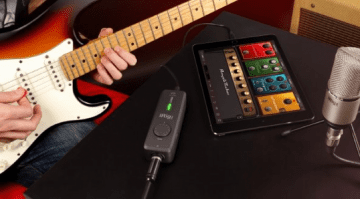 IK Multimedia is taking another new guitar product to NAMM 2019: iRig Micro Amp follows on from last week’s announcement of the AXE I/O guitar recording interface. 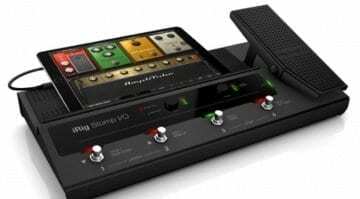 Aimed at those of us who need a compact practice and recording tool, this is a 15-Watt battery-powered guitar amplifier and USB interface. 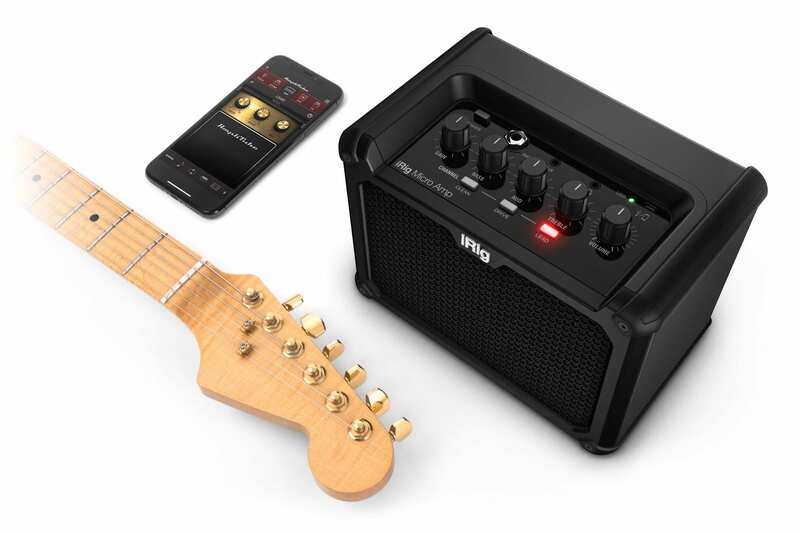 The iRig Micro Amp can also connect with iOS devices, making it compatible with Apple’s iPhone or iPad. 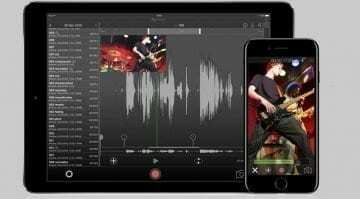 There’s an Aux Input to let you play along to your favourite songs using the 10 amp and 26 effect pedal models included with the AmpliTube CS app, You also get a further 9 amp and 10 pedal models from AmpliTube 4 when playing along using a Mac/PC. The video below provides a few examples of what to expect from this new product and it sounds like it could be perfect for lots of players looking for a good quality, flexible practise tool. It is currently listed on their site as available for pre-order, but you can follow my link below to see more details about it. To be fair, it looks simple enough to use, so it won’t be hard to get it up and running. 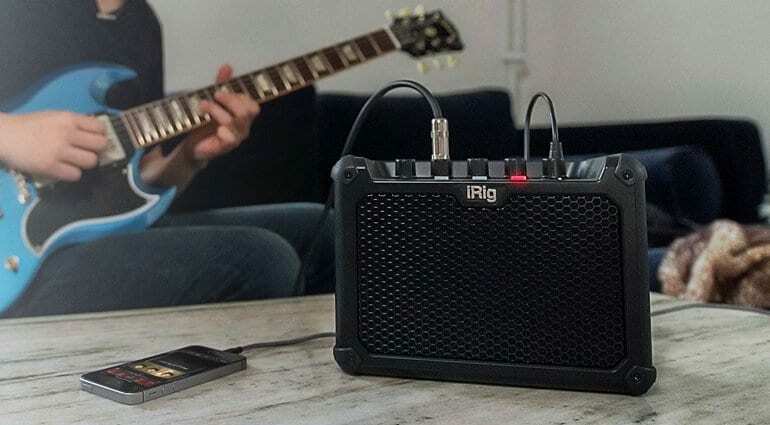 If you are in the market for a practise/home amp then at 15-Watts of power the iRig Micro Amp should be more than enough output. It will also run from AA batteries, which I like, as it means that I could take this with me anywhere. On batteries, though, it runs at 7.5-watt. I also like that it will power a 4Ω cabinet via its cab output if you want more oomph than the built-in 4″ speaker has. Then there’s also the whole USB audio interface functionality for using it with DAW. This us certainly one to watch, as it covers a lot of ground. Especially at this price. It does remind me a little of the Blackstar Fly and ID: Core V2 amps, but combined. 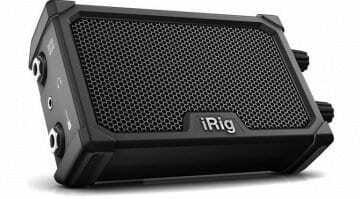 So, if the sound quality is good and the software gives you the options you need, the iRig Micro Amp will take a swat at those.